When you are hunting for targets in the bush its important that the enemies are clearly marked. Our masks have dual pane anti fog lenses prevent fogging keeping you in the game and safe. 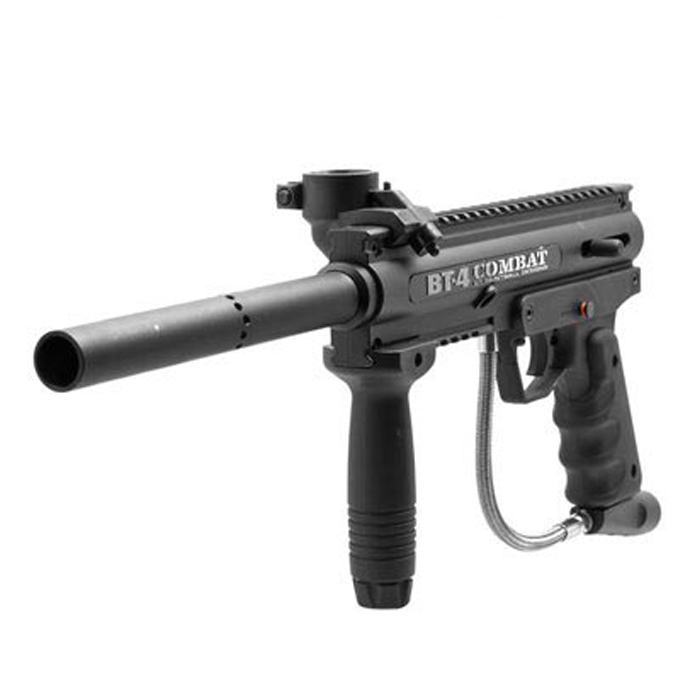 The BT 4 Combat paintball gun is a battle tested workhorse. Light weight and with a high ammo capacity, get lost in our field with enough ammo to fight your way out. Our camo cover shirts will keep most of the paint off you, go home looking good and leave the paint mess with us. Also makes excellent camouflage if you stand still. this 48 cubic inch High pressure air tank gives you 500 shots and is easily refillable on field, with a built in pressure gauge it's easy to tell when you need more air letting you shoot accurately all the time. They look the same as the adult guns but altered internals mean they shoot a smaller paintball at a slower speed, reducing the impact energy to 1/10 the energy of a standard paintball. The semi-automatic function means that there is no difficulty "pumping" the guns like in older outdated models. This small gas tank is light and versatile for kids, it's compact size makes our kids mechanical paintball guns perfect for kids as young as 7, giving kids all the advantages of the adult guns but at a fraction of the weight and pain.